Helen Glassford inhabits two parallel worlds: the public world of the Gallerist and Curator, and her private world as a Painter. As a Gallerist she seeks to uncover and bring into public view her own sense of some of the very best of Contemporary Scottish Art. Alongside this public face, there is an Artist fully immersed in the processes of her own creativity, stealing time in her studio, to make paintings that reveal her innermost meditations of what it is to be a woman interacting with her own experiences of being in the Landscape. Once a year, in the Open Studios Weekend, Helen welcomes visitors into the sanctum that is her home and studio. This is a much-anticipated annual event for her, as an opportunity to engage with her audience in the quiet surroundings of her living space. It is always wonderful to meet again with old friends and acquaintances, and also to make new relationships with new visitors. Transforming one’s house into an exhibition space creates a different environment; one in which new paintings might be encountered in a way that is different from the more formal atmosphere of the Gallery simply because it is more personal. For the viewer, to be allowed to cross the threshold into an Artist’s residence and studio is to be permitted to see at first hand the place in which it all happens. There is evidence everywhere. Stained easels, ranks of colour-encrusted brushes, palettes mounded with old paint, partly crushed tubes of pigment and linseed oil. Bookshelves crammed with reference works. On the walls, of course, is the output. There is something different about seeing paintings surrounding the Artist who made them, in the place where they are made. One is able to understand, perhaps with a small shock of comprehension, that the Art, the Artist, and the Studio are in fact all parts of the same thing. Over the Open Studio weekend Helen will welcome and talk to every visitor about her new work and concepts. It has become quite an event over the years attracting many art lovers and followers. Buying a piece of artwork or simply enjoying new work is indeed very special; discussions and conversations and stories shared become part of the enjoyment of the wonderful experience. It is an opportunity not only to meet Helen but to also meet the Paintings. Perhaps you will stay long enough to talk and share something memorable together. You will be most welcome. 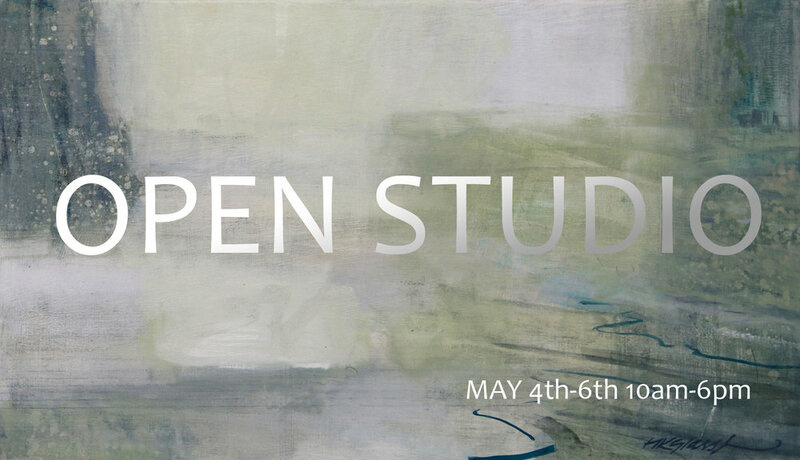 Open Studios is part of North Fife Open Studios and is held on the first May Bank Holiday every year. If you would like more details to this event please join Helen’s mailing List.